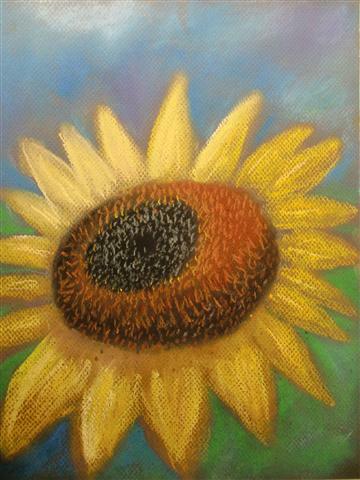 Sunflower is one of my favorite flowers. I like their vibrant colors and spirit. I plant sunflower in my gardens. They grow so easily and can be up to more than two meters high. It’s my first time to draw sunflower. I like the colors and composition; but the shading is always the most difficult part. I also drew a white lily which I like a lot. It looks like I am pretty good at capturing those flowers with a simpler shade.